Iqaluit's water supply could run out as early as this year. Now, the city is part of a task force that will need to ensure its only freshwater source, Lake Geraldine, has enough water by Oct. 1 to get residents and businesses through the winter. Joanasie Akumalik points to the concrete dam that contains Iqaluit's only water source. Water, he says, used to spill over the cutoff wall from the Lake Geraldine reservoir into a valley overlooking the city. "I'm concerned that this lake is much too small for the size of the community," the city councillor said, walking up toward the edge of the berm. "We need more water than this." Lake Geraldine — just north of the community — currently holds about 1.375 million cubic metres of water, which is about the same amount used by the city on a yearly basis, according to a recent assessment by consultants with Colliers International. The water level in the reservoir is one metre lower than previous years at this time. Less precipitation this summer, a growing population and water main breaks could all be reasons behind the drop, according to the city. This year, Iqaluit has seen the highest drinking water demands on record. The city government is part of a task force, along with other levels of government, that will need to ensure Lake Geraldine has enough water by Oct. 1 to get residents and businesses through the winter. Akumalik isn't only concerned about the lake — he worries about an up-and-coming local business. The Nunavut Brewing Company has been asking the city for permission to haul additional sewage and water. 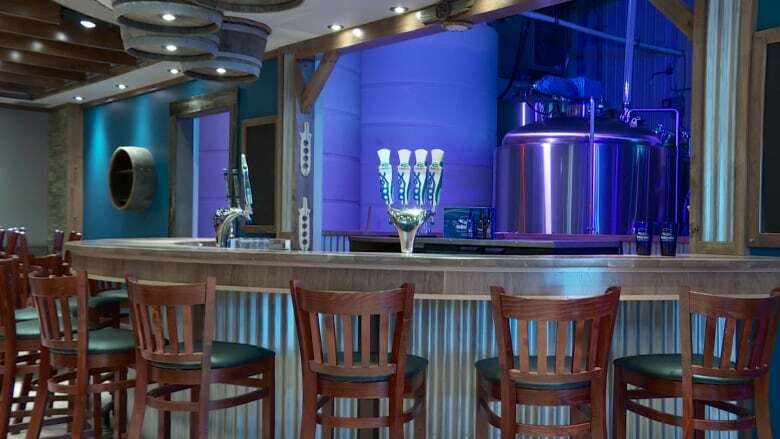 "Very bluntly, I think the brewery will require a lot of water," said Akumalik. Iqaluit councillors debated updating a water and sewage bylaw to allow private companies to haul their own supply. The bylaw failed to pass at a council meeting on Tuesday, setting the brewery back again. On one side, some councillors including Akumalik argue the new bylaw will further stretch the city's water supply with more businesses requesting private hauling. Coun. Kuthula Matshazi voted against the bylaw changes, because he's afraid opening up the supply to independent haulers will lead to the privatization of water. "We need to dig deep a little bit and see how best to deal with [the demands] without creating a private water market," Matshazi said before the vote. 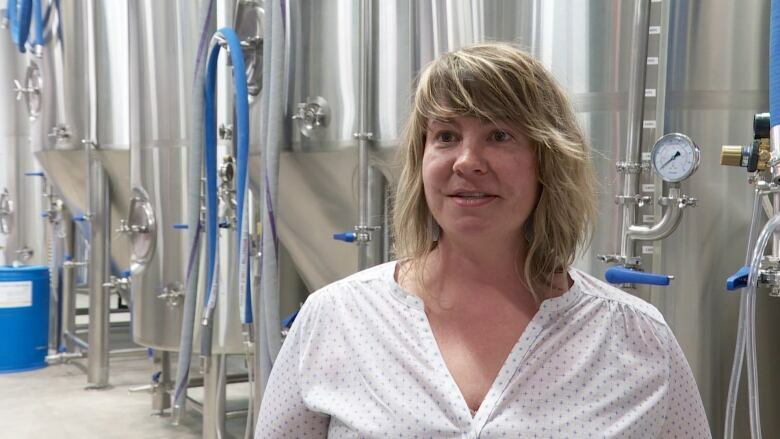 "We're obviously incredibly disappointed," said Katie Barbour, general manager for the brewery. "But we are bringing things back to the table." The brewery already has trucks and equipment in place for hauling and filtration, but it's waiting on the city before it can open its doors. Shareholders remain positive they will be brewing soon, but Barbour estimates the business is losing thousands of dollars each day. Half a dozen future employees are on standby until business begins. "We've got a little bit more fight left in us, and we're definitely going to problem-solve and come up with solutions with the city," Barbour said. Lake Geraldine is expected to be a temporary water source for the brewery, Barbour said. 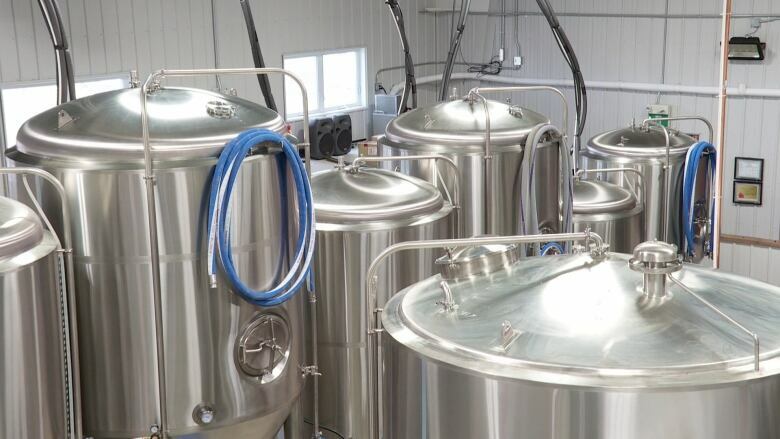 The brewery is outside of the city centre, near Sylvia Grinnell Territorial Park, and already has approval from the territorial water board to draw directly from the Sylvia Grinnell River. Nunavut H2O, co-owned by Inuk businessman Harry Flaherty, would be contracted by the brewery to haul river water. But Barbour says the brewery can't open until it has city permission to privately haul its sewage. Iqaluit Coun. Kyle Sheppard says he plans to reintroduce the bylaw to allow businesses to truck their own water at the next council meeting. "The city cannot provide the water required in certain locations in town," said Sheppard, who wants to lessen the burden of water delivery on the city. "We can barely meet the truck water needs that we have right now." But Akumalik, concerned about conservation, says the demand by businesses like the brewery — as well as construction of a new deep-water port and a new hotel conference centre — will also stretch water resources. Akumalik added that residents have said Iqaluit has enough drinking establishments. ​Councillors agreed to have a public consultation on the water and sewage bylaw before Aug. 14. Andrew Medeiros, a freshwater researcher currently with Dalhousie University, told the city in 2015 that it could face a shortage. His studies calculated the supply could run out as early as this year. Lake Geraldine water reaches its lowest point at the end of each winter before the ice melts and warmer weather brings rain. With the lake capped by ice, there's no way to add water to the reservoir if it runs out. "That end of winter resupply is the main issue going forward if Iqaluit wants to grow and develop in a normal fashion," Medeiros said. Medeiros says Iqaluit needs to be spending less on consultations and reports about a problem that has already been documented. Iqaluit is spending $1 million to study water demand and losses, and $100,000 to improve documentation about the utilidor system. Another $1 million is budgeted for studying a long-term alternative source — the city is considering drawing from the Sylvia Grinnell River. Water is lost through leaks and breaks caused by aging infrastructure and shifting soils with thawing permafrost. The city also keeps a steady flow of warm water to keep pipes from freezing in the winter. Together, these account for 40 per cent of the city's water consumption per year. Mayor Madeleine Redfern plans to go to the federal government for climate change mitigation money to deal with water lost through infrastructure. In 2017, the city of Iqaluit said it couldn't comment on the freshwater researcher's report because it hadn't commissioned it. "For us, it's really difficult, when we came to them in 2015, in 2016, and again in 2017, to still be talking about it in 2018," Medeiros said. Read more articles from CBC North, like us on Facebook for updates and community photos and subscribe to our CBC North newsletter for the day's news at a glance.